Statistically, the following story should never have happened. But happen it did in the summer of 2018. It was an ordinary morning in the Israeli city of Ramat Gan. 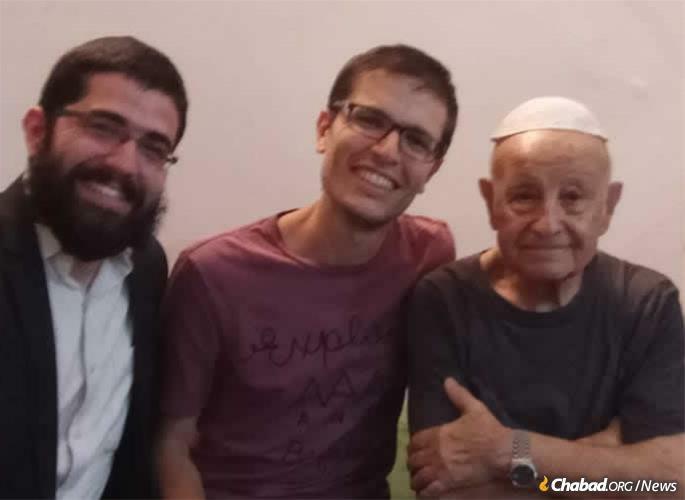 Rabbi Dovid Chaim Hilel Chemama was making his rounds among the city’s merchants and business people, sharing Torah teachings and helping men put on tefillin. 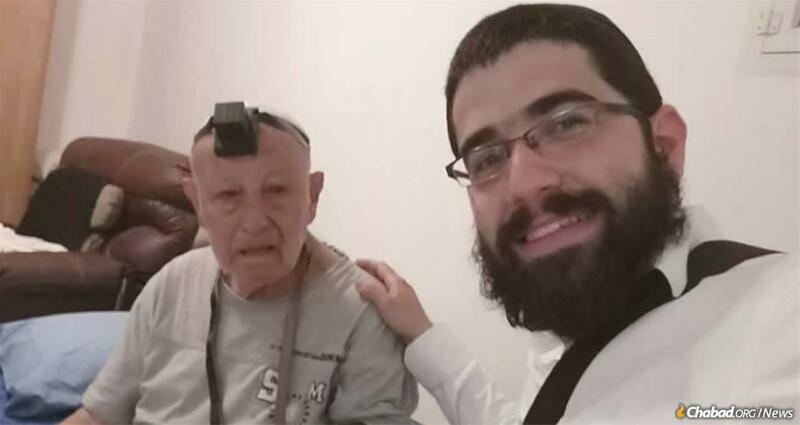 The rabbi hurried over to the address he was given and saw an elderly man crying in pain. With his help, the emergency responders checked his blood pressure and sugar levels, and recommended that he be hospitalized. After the man declined, the rabbi was left alone with the elderly patient. When the young rabbi offered to help his newfound friend to put on tefillin, the latter eagerly agreed. It was his first time doing so in more than 70 years. A month passed, and his physical condition improved, along with his emotional well-being. One day, the rabbi’s mother called while he was visiting Fitoussi. Upon hearing that her son was with an elderly man from France, she asked about his name. “Fitoussi?” she said casually. “We actually have some relatives with that name.” And the conversation ended. “Do you know anyone with the name Aloush?” the rabbi asked Fitoussi, referring to his mother’s family name. The rabbi could not believe his ears. His grandfather, Mordechai Aloush, was known as Loulous in French. A phone call to his mother revealed that Louis Fitoussi was indeed their long-lost relative. When the octogenarian learned of their surprising connection, he could not stop kissing his newly discovered first cousin twice removed. “I never knew I had any living relatives,” he mumbled softly over and over to himself. The rabbi and Fitoussi with another visitor.